Jeff is the author of Actionable Agile tools (available on Amazon, and direct from the author at bit.ly/aatbook). He joins us on this series of Q&A shows to answer questions you’ve submitted. You can submit your questions via our survey (short, about 2 min to fill-in) or by tweeting us @scrumpodcast with #agilejeff. In this episode, we talk about getting management to understand and learn how to support and promote self-organization by the team. Innovation is a topic that gets a lot of attention. There are innovation processes, specific creative games for teams to work with to seek innovative ideas. There’s the Lean Startup movement that tries to codify innovation-friendly processes, and there’s also the UX community pushing the argument that we need more innovation in software companies. You’ve probably heard the same argument at work. We need to be more innovative to be competitive. Great! But how? In this episode, we explore how leaders can set up their organizations for innovation. Ryan Jacoby helps us explore the how of that critical question: how can we be more innovative? Ryan has written a book titled Making Progress – The 7 Responsibilities of an Innovation Leader to describe how organizations can focus on enabling innovation in practice. Ryan describes an approach that aims to focus on the team and organization on the customer needs. His approach is simple and immediately actionable. First start by jotting down in plain language and from the point-of-view of the user/customer: what problems are you trying to solve for that customer? Select the top 3. The other dimension of innovation is your organization’s goals. Define what it means to meaningfully grow the impact of the organization over 6 to 18 months. This growth could be in the number of customers, revenue growth, profit, etc. Now you have the start of a growth strategy that is centered on customer needs and also directly linked to the company’s/organization’s growth. Next, we talk about innovation in practice. When it comes to putting innovation in practice, Ryan argues that there are 7 areas to take into account. Set an innovation agenda by prioritizing the innovation problems to solve, user and customer groups you want to serve, nature type of innovation to pursue. Giving great feedback to teams: prepare and setup the feedback moments so that teams can learn quickly. Ryan explains how he came to value these 7 responsibilities of an innovation leader by telling us his own story when he was responsible to help the New York Times grow their impact through innovative solutions. You can read more about Ryan’s work and find his detailed explanation of the 7 responsibilities of an innovation leader in his book: Making Progress – the 7 responsibilities of an innovation leader. 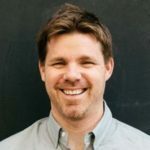 Ryan Jacoby, is the founder of MACHINE, a strategy, and innovation company that helps its clients Think Big and Act Small. MACHINE clients over the years have included people responsible for growth and innovation at The New York Times, Marriott, Viacom, Etsy, Google, Nike, The Washington Post, Feeding America, Fresh Direct, NBC Universal, and The Knight Foundation. Prior to founding MACHINE, Ryan led teams and relationships at the design and innovation firm IDEO. He was a founding member and location head of the IDEO New York office and built the Business Design discipline at the firm. You can link with Ryan Jacoby on LinkedIn and connect with Ryan Jacoby on Twitter. For more on Ryan Jacoby’s work, visit his company’s site at Machine.io. In this episode, we talk about getting management to be involved and buy-in to the agile transformation. How do you get teams to collaborate to reach a goal? How do you help your teams challenge themselves to try new things? There was this one team. They were actually quite good! That was the good part. However, after a while, they were so good that they started to act as if they didn’t want to improve anymore. They thought they were good, but I knew they had a serious lack of innovation, they were stuck in the same old methods and processes. They thought they were better than the rest, but I knew they were just doing the same thing for a long time and were far from their potential! In this episode, we explore the ideas from the book Lean UX, authored by Josh Seiden and Jeff Gothelf (Jeff Gothelf was on the podcast earlier to help us redefine the measure of success for software development). Lean UX is both an approach and a set of tools that teams and Product Owners can use to help integrate the design/requirements/user research aspects into the team’s work. Scrum Masters understand the importance of having many tools for different situations. The quality of our work is often related to the quality of the tools we have in our toolbox and the context in which they work. In this episode, we review some of Jeff’s favorite Actionable Agile Tools, a book that collects 19 tools and is now available on Amazon in black and white as well as full color. Not to mention Kindle! Tim was faced with a problem. How to be a leader without any formal power. All Scrum Masters and Product Owners who have felt the responsibility, but not any “line authority” have faced the same problem. You need to help move the project along, but you can’t tell people what to do! 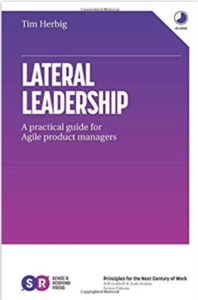 In this episode we explore the concept of Lateral Leadership how it can help you as a Scrum Master or Product Owner. Tim Herbig is the author of Lateral Leadership a recent book published by Sense and Respond Press. Ben is a project manager with experience in developing digital services and products for worldwide clients. He’s learned some very important lessons and shares some of his key insights with you in this special episode, where we dive deep into the project manager role and the project management world. There are quite a few books out there about the Scrum Master job. However, the classic that many refer to over and over again here on the podcast is Scrum Mastery by Geoff Watts. In the description of the publisher writes: “Scrum coach Geoff Watts has identified patterns that separate a good Scrum Master from a great one”. As a podcast for Scrum Masters, we wanted to have Geoff on, to share the key insights in the book, but also what he learned since the book was first published in 2013.